Current member? Registered previously? Sign in. 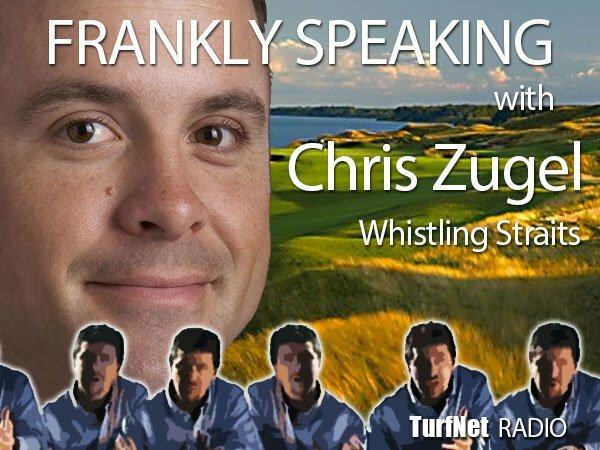 Joining Frank for this episode of Frankly Speaking is Chris Zugel, CGCS, golf course superintendent of the Straits course at Whistling Straits in Kohler, WI. Chris relates his experience working both for the Kohler Company and at a famous resort course that has hosted many championship events, including the 2004, 2010 and 2015 PGA Championships and the 2007 U.S. Senior Open. It is also the future site of the 2020 Ryder Cup. The Pete Dye-designed Straits course is stretched along two miles of Lake Michigan shoreline, shares 500 acres of rough with the Irish Course at Whistling Straits, and has over 1000 bunkers on the Straits course alone. Spend some time with Frank and Chris to get a glimpse of managing a high end golf course facility in a challenging location. THANKS TO THE SPONSORS OF OUR WEBINARS, BLOGS, PODCASTS, VIDEOS, TRIPS AND AWARD PROGRAMS!